There are cost involved starting a startup and this is no rocket science to understand that if you don’t prepare yourself then you will fall hard but is seems like there are some that may hide behind the shadows to jump out and surprise you when you least expect. But a great business man should always be ready to face them. So in order to make yourself prepare for the tide of storm, you should first know what you should expect and today we will give you an article about Financial aspects of startup that can be fatal if you are not ready for them. These expenses may cost you your business and that’s why we will remind you of their existence so you won’t forget about them and prepare yourself for them to handle these things like a boss. If you need evidence to show that you are in desire need to take care of these things then we will provide you with statistics that was published by analytic agencies. Based on these statistics, after 5 years of starting new businesses, 50 percent of them seize to exist and this means that the risk is big and amazingly underestimated and this means that you should take this article serious. So here we go with the main article. Tax is not a simple thing that we usually ignore and tend to forget but there are a lot more to taxes than what it seems. We have multiple types of taxes for different experiences and this means that we have to get extra cautious methods when it comes to tax. The best way to tackle this is trying to hire some people with law background. If you cannot hire then you can use financial advisors as a resort. There are even some tools and websites that can give you things you need and these are amazing ways to get things done with minimum cost. In order to avoid these financial aspects of startup get problematic, we suggest you to add everything you do to your accounting books and never spend anything without registering it and having solid file and evidence to support it when you have to give answer to authorities. Another point which has importance is that you should always go to legal authorities and ask them about what is new and what should be done in order to avoid tax violations. So technically speaking, we all have to be extremely clear when it comes to income and expenses and then we will have no problem taking care of tax. If you get the information which we have asked then you can prepare yourself for tax in time and it won’t get you off guard. Since this one is a very technical aspect then we suggests you to have your financial and legal advisor on speed dial and call them frequently to match the requirements. Governments have no means to spare tax violation and it’s not that hard to avoid trouble by taking safety measures. To start with shrinkage, we have to say what this term is first. Shrinkage happens in a company when products are reduces in quantity without getting any sale or other reason behind this reduction of existing. In other words, your product is vanished with no trace. So what might be the reason behind this problem? In traditional companies and shops, we see shoplifting as a main reason behind shrinkage but when it is considered as one of financial aspects of startup then we have to say that shop lifting is not in the way that other aspects are. As the matter of fact, shoplifting can still happen but not by customers but by your own employees. In order to get things done in a way that you can avoid shrinkage then you can add RFID tags to products. You can install security cameras all over your go down and even try your best to register and check everything that goes out of your storage. Another cause of shrinkage in ecommerce section is human error. People may send wrong number of products to customers and even lose the track of numbers in the process of fleet management. In order to avoid such this problem, you have to train your team and help them with right tools that reduce human errors to minimum. There are a lot of other reasons behind the shrinkage problem and we will soon give you a full article to learn more about it but for the time being, we suggest you to study more about it and use other references. Why Should Founders Consider Mentoring? These things can be costly to begin with but they sure will help you control things a little bit quicker. The impact of shrinkage is much greater than you can think of and based on reports, US businesses are losing around 45 billion worth of goods duo to shrinkage and this number alone is more than enough to get your attention. There are a huge amount of rivals for every startup and people are more than ready to take down a serious rival. So if you are going forward then get ready to get sued over anything you can think of. There are many ways that legal fees will crush you and most of them happen when you don’t have any idea what you should do at the time of crisis. In order to get yourself ready for this type of financial aspects of startup then we suggest you to have a lawyer by your side. 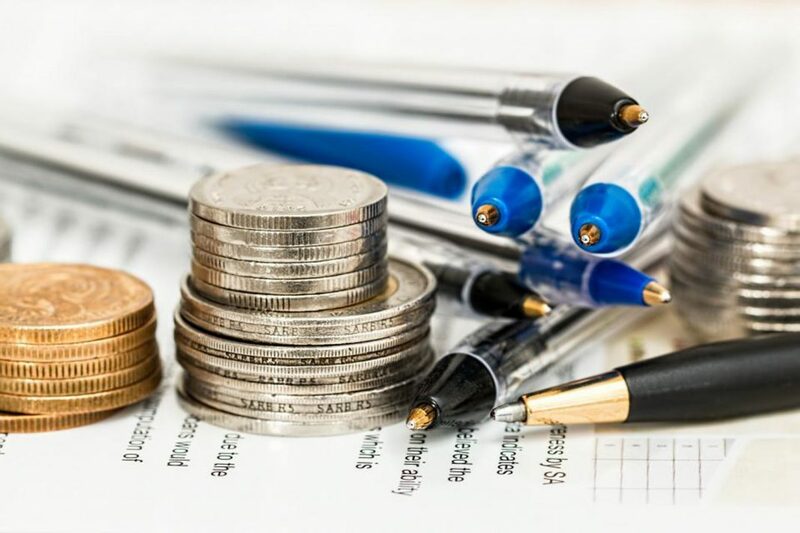 Lawyers need some spending and there is no denying that this can be hard for you to manage this extra cost but it’s more important to survive than having a fraction of percent, extra profit. So if you spend on lawyers, they may even save your whole business someday. They know how to handle different situation and how to get the best out of every situation without wasting any time so you can count on them on legal fees handling. They will tell you which certificates you must get in order to avoid trouble with authorities. This expense has some other benefits as well and you can handle the tax problem using the same lawyer so its two birds with one stone. But leaving everything to lawyers can be too costly for you and you have to take care of some parts to maintain your financial statues well. Search in the web and you will find hundreds of websites that can give you insight on legal problems. You can download templates of forms and stuff like that to make yourself prepared doing them in time. So the best way to reduce legal fees is educating yourself in time. Invest time and energy into this and you will get a lot in return and make sure to continue research and learning because things can change fast when it comes to legal procedures. So you get money from investors, you get loans from bank and you gather money from crowd funding and other similar methods which is good but how did you calculate the return in your plans? It’s a little bit tricky to handle this without professional help. So if you slip a little bit then the angle can be steeper than what you can recover from. So if you need any investment then prepare to return it with a plan. The same goes for interests on loans. If you can repay it then bank will get you and take over your business. in order to get this one done, you either should take care of things by hiring a professional person to work for you or getting consult from advisors. Another way is leaving this part to professional service providers and use their services as a tool to manage your repay with relatively easy approach. If you want to manage crowd funding and investors then we suggest you to read our previous articles and tools to get more information and get better results in the process. So if you want to make life easier then try one of these three and be ready to pay back what you have already got. There are a lot of startup companies that met their demise this way so avoid them at all cost. If you think that there are other things which are extremely impotent for startup companies in order to avoid downfall then you are absolutely right but these were the most important Financial aspects of startup that we thought may crush your dreams. So please share your experience and points with us in comment section down below so others can use them as well.